Summer draws to a close, but the bounty continues! It’s hard to believe that August is coming to an end. With it, we say goodbye to our good friends at the Food For All program who have valiantly staffed the Healthy Community table all summer, playing games and painting faces with kids who come to the market, and sharing the surplus bounty from the Food Pantry Garden with the market’s customers. We will miss them greatly and wish them best of luck this fall as they return to school! Kids lining up to have their faces painted by the Food For All interns. We truly lucked out with the weather this August. The air has been clean and crisp, and we’ve seen (mostly!) sunny skies. 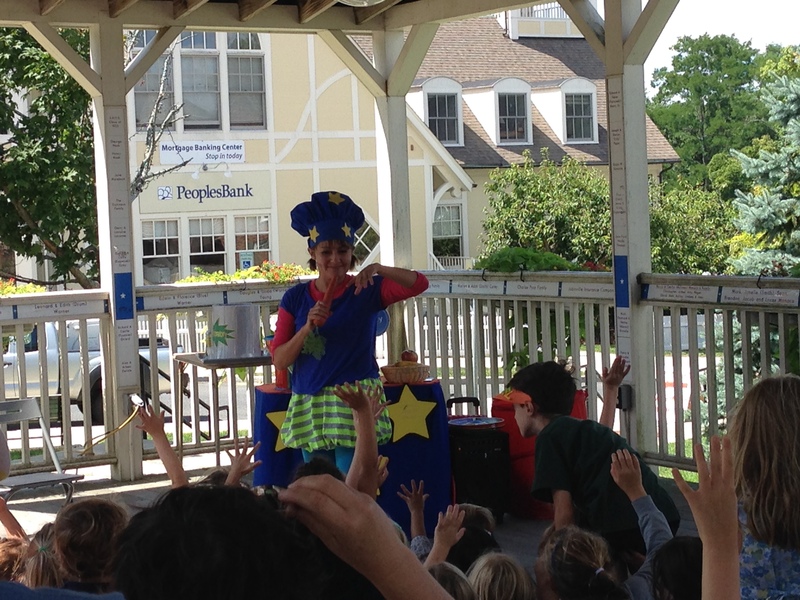 A highlight of this month was our children’s theater performance on August 14th. ToBe Fit: The Juggling Nutrition Magician, paid the market a visit and put on a show in the gazebo full of magic, music, juggling, and more. Over sixty kids and their parents attended the event! ToBe taught us how to stay fit and juggle a well-balanced diet. 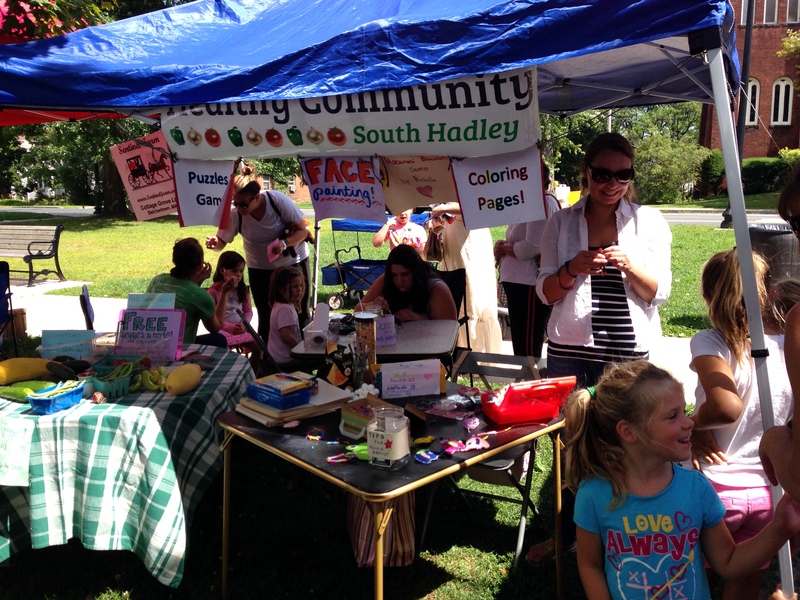 Many thanks to Chicopee Savings Bank, Easthampton Savings Bank, Mount Holyoke College, the South Hadley Family Center, and the Gorse Children’s Center for sponsoring the event, and to FoodPlay Productions for putting on such a great show! ToBe asks us about our favorite healthy snacks. In addition to many fun activities at the market, don’t even get me started on the amazing fruits, vegetables, and other locally-made products that are available at the market right now. August is a truly special month for seasonal produce. Cherry tomatoes, heirloom tomatoes, eggplant, bell peppers, hot peppers, sweet corn, lettuces, kale, tender green beans, zucchini and summer squash… I’ve been dining like a queen, thanks to Farmacy Gardens and Dave’s Natural Garden. We also welcomed a new vendor to our market. 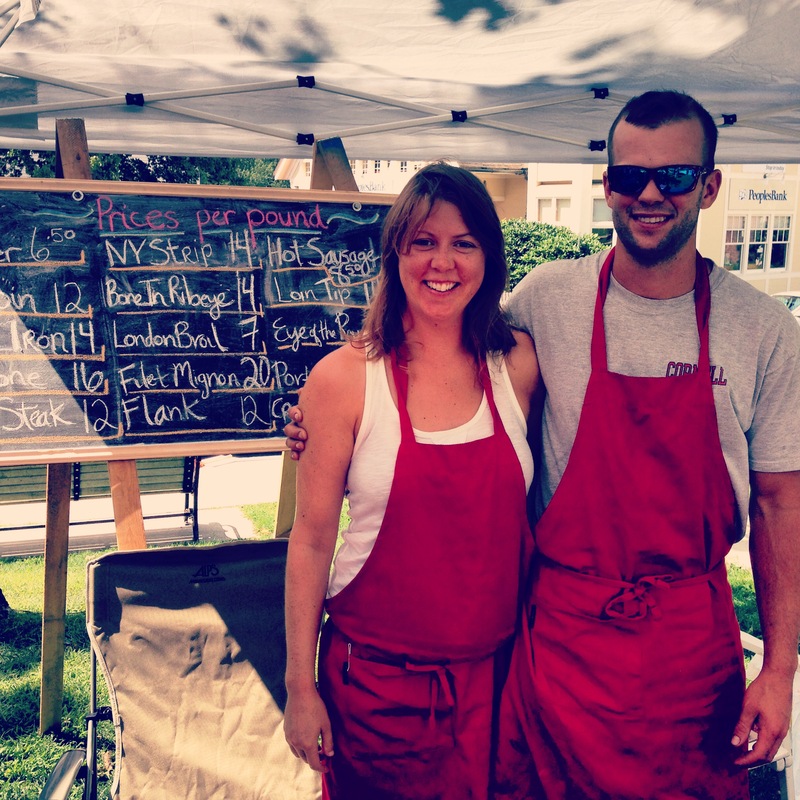 Hailing from Conway, Massachusetts, Jacquie and Kurt from Vachel Farm are bringing us ethically farmed, grass-fed Angus beef. Customers have been loving their product. They’re really nice folks, too! And of course, we celebrated the return of Sentinel Farm to the market. 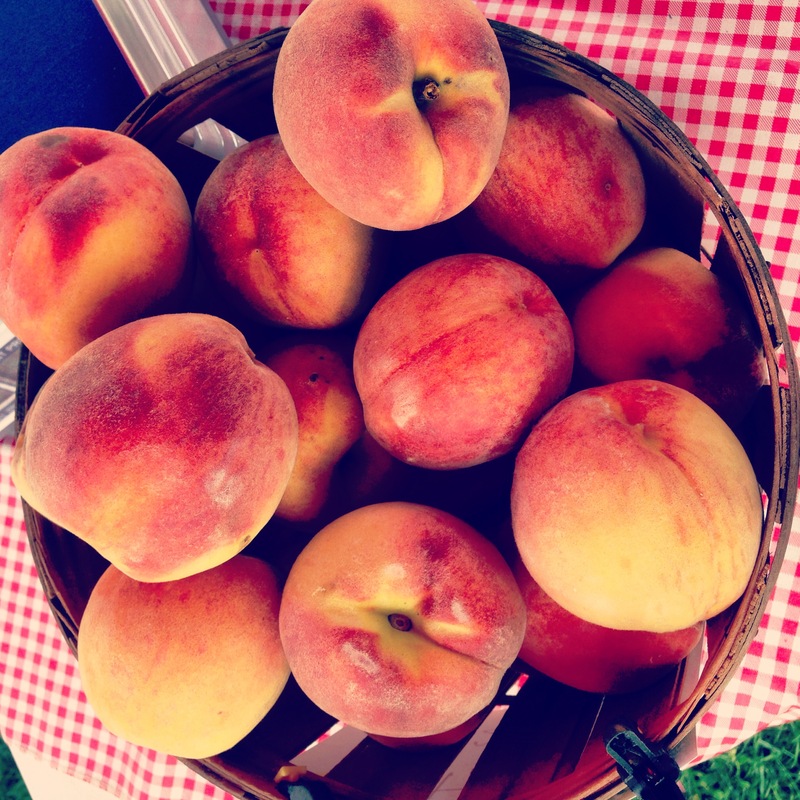 First, they brought Methley plums — a small, sweet variety that’s only available a few weeks per year — and now we’re seeing amazing peaches and even some early summer apples. They are sweet and healthy snacks that can be eaten right at the market! We hope to see you at the market this fall. Summer may be over, but the harvest continues. We encourage you to join our email list to stay on top of what vendors will be at each week’s market and what they’ll be bringing! Leave a comment Summer draws to a close, but the bounty continues!